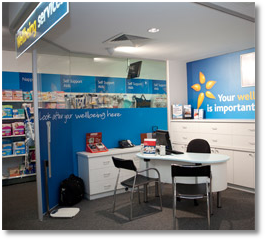 At Chemmart® Pharmacy, we know its not always easy to look after your health and wellbeing, so we created Australia’s new Wellbeing Pharmacy. That means we give you everything you expect from a chemist, plus much more. Have a browse through our website and you’ll discover the great range of wellbeing services and products offered by Chemmart® Pharmacy that makes it easier for you to manage your health. At Chemmart® Pharmacy, we’re dedicated to helping you look after yourself better. For more information visit www.chemmart.com.au.